OGP UK give the customer the ability to make better products through advanced software and knowledge. 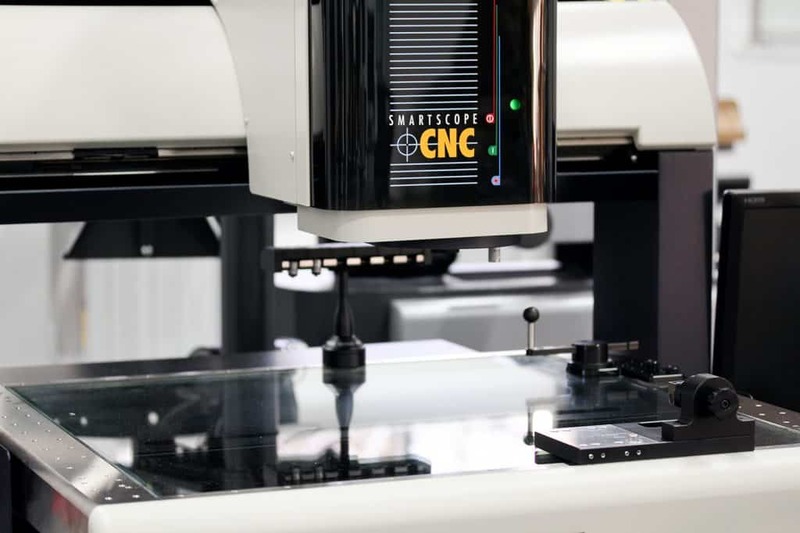 The team offers expertise in Industry 4.0 and deliver advanced hardware, software and services to ensure your measurement processes are optimal through superior data collection and storage methods that provide more intelligence in the customer’s manufacturing processes. 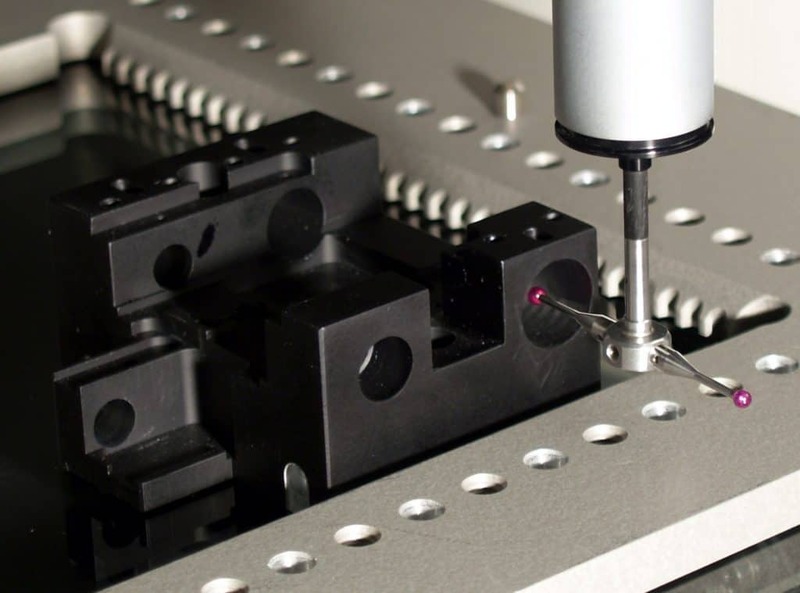 Multi-sensor measurement systems have improved as component technologies for lasers, optics, motion control, lighting and megapixel digital cameras collectively enable new capabilities. Each sensor has its own unique use for particular measurements, it is important to know which ones may be useful to your business. Optical sensors are noncontact technologies for fast, accurate measurement. These technologies include lasers, video measurement, and white light interferometry. 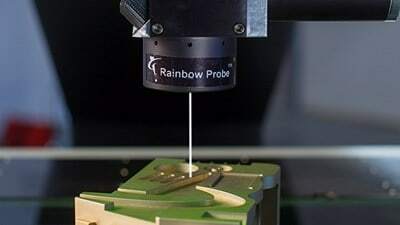 When scanned, laser sensors collect points from the component and can be used to make faster contour and dimensional measurements on a variety of materials and surfaces. A measurement machine that is equipped for lasers is capable of supporting multiple laser configurations that may be necessary in order to accurately collect data from specular and diffuse components. Lasers can also provide accurate measurement of part features that are inaccessible by other measurement methods, including tactile probes. Video systems can measure images of a component, taken by an in-built camera. This method can collect large amounts of data based on image contrast and edge detection. Multiple small parts can be identified and measured simultaneously in one field of view. Accuracy and speed for this technology rely on innovative video system illumination, technology advancements have allowed integration of cooler, brighter LED configurations, providing backlighting, oblique lighting, strobing and co-axial surface lighting. Modern advancements in camera and optic technology makes video measurement a pragmatic choice when considering a multi-sensor solution that is both fast and accurate. Video measurement systems today offer telecentric optics, high resolution cameras, through-the-lens laser scanning, and supplemental tactile probes to provide full measurement capability ranging from compact, benchtop systems to high capacity models. 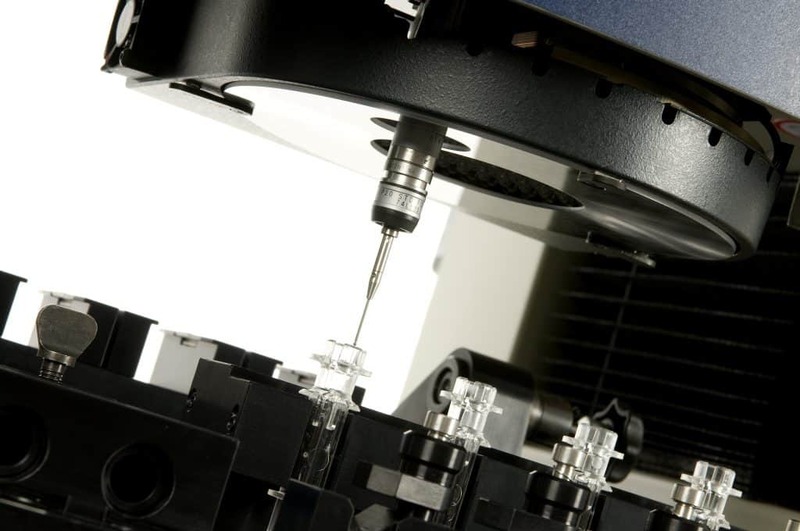 Combining both optical and tactile measurement methods would be a sound strategy for creating future benefits, by minimising the need for multiple measurement systems. Chromatic white light sensor technology analyses the optical spectrum of reflected light to measure surface height changes to nanometre resolutions, allowing ease of measurement especially of transparent and translucent subtrates, which may be beyond the capability of most other measurement tools. Applications where white light interferometry would be beneficial are contoured surfaces, such as turbine blades or orthopaedic medical devices, where many measurement points are needed to accurately define complex shapes. Whether it is white light interferometry or chromatic aberration analysis, white light devices can provide unique solutions for specialised applications. For features that are difficult for video measurement, or beyond the range of other sensors. Tactile sensors provide data on simple and complex surface contours. Touch trigger devices make contact with the part, retract, move and repeat, collecting one point at a time. There are many combinations of styli length and tips that will allow access to the feature being measured, but this method of measurement may be limited to the physical reach of the measuring tip, along with room to trigger and back off. Styli tips are often made of ruby, tungsten, or even a soft Teflon material, depending on the nature of the part material. With an optimal stylus and tip combination, touch trigger probes can register measurement data points with as little as 0.08N of trigger force. 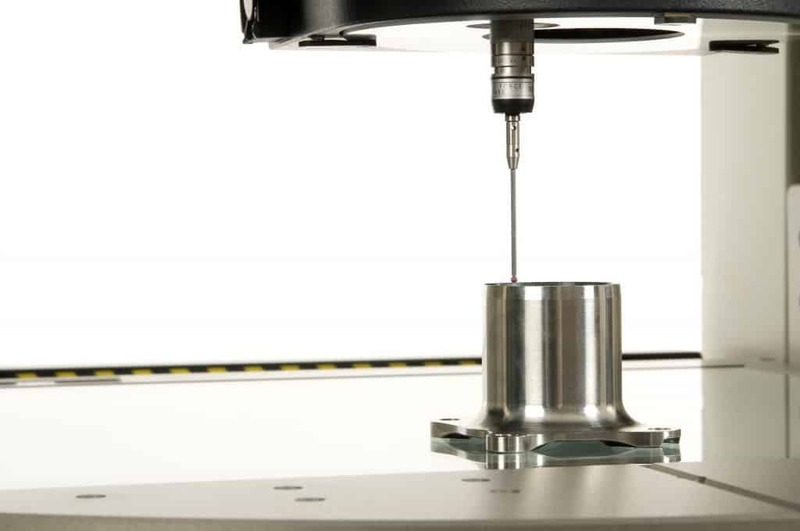 Scanning probes look similar to touch trigger probes and are designed to slide across a surface contour, collecting hundreds or thousands of measurement data points as they move. System software drives the probe, rapidly following the component contour and collecting the data points at a user defined velocity and data sampling rate. Micro-Probes are a variant of the touch trigger probe. Micro-probes have similar contact measurement method, but with a much higher sensitivity trigger that can allow data point acquisition with less than 0.04mN of trigger force. Micro-probes might be required when a part to be measured is delicate and could be easily deformed. 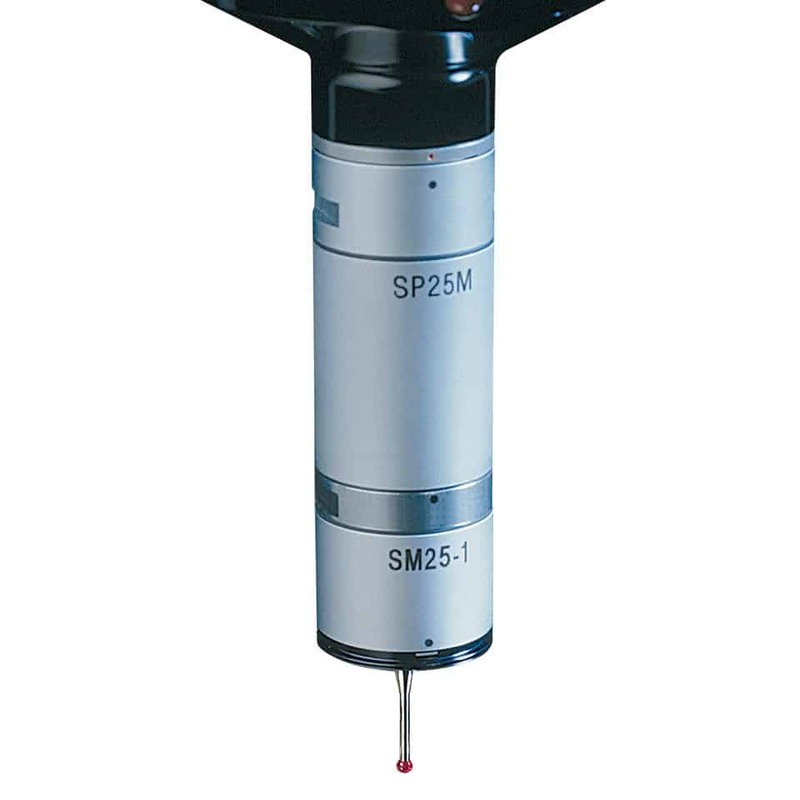 This type of probe would be appropriate for accurately measuring part features as small as 0.15mm.